There are 6 basic archetypes I like to think about when looking at others. We can go way deeper into archetypes and at some point I will do a blog post on each of them, but for now think of this as a quick and dirty archetypal primer. An archetypal quickie if you will. What's awesome about archetypes is that when you know the archetypes you hold (most people have at least 2) you can start to leverage that information in your personal and professional life. Server: Feels the need to help others and assist those in need. Likes to work behind the scenes. Tends to shy away from the spotlight, but can martyr themselves or feel used or taken advantage of. They often have large pleasing eyes, and attractive nurturing faces. Typically chooses careers where they can assist others reach their goals or heal others. Other names for this archetype: The Mother, Servant and Slave. 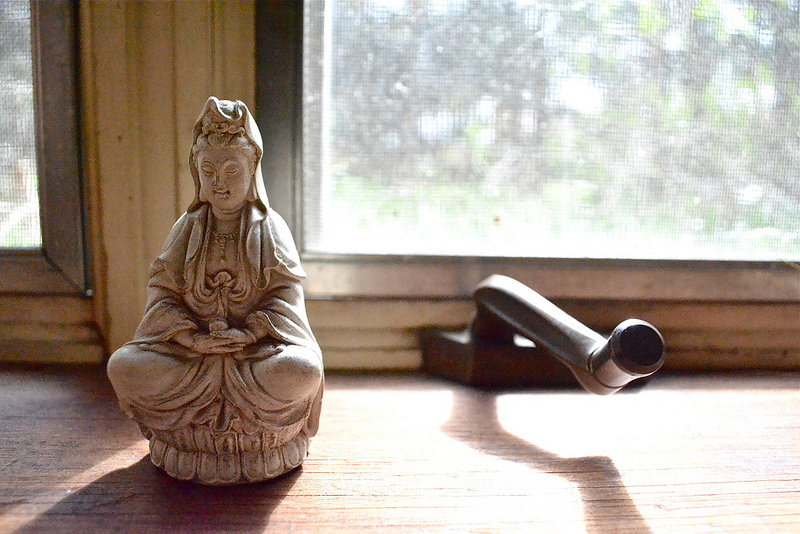 Quan Yin is an example of the archetypal feminine energy. The Mother. Sage: Feels the need to bring people together, often through laughter or entertainment. This is the class clown. Tends to like to talk. They are often gregarious, mischevious and outgoing. Their job is to lighten the mood. They often have cheshire cat smiles, with upturned mouths and "tent" eyebrows. They typically choose careers where they can entertain people and express their desire to bring others together. AKA: The Jester, Joker, Trickster. Scholar: Feels the need to gather information and be a source of knowledge. Tends to be solitary rather than group-oriented. They enjoy immersing themselves in topics that interest them. Their job is to learn and educate. This is the professor archetype. They often have large foreheads, and small focused eyes that express their concentration and intellect. They typically choose careers where they can study things deeply or educate others. I have scholar as a secondary archetype. AKA: The Wizard, Wise Old Man, Scientist, Researcher. Artisan: Feels the need to create something in the world. Something tangible and often something that expresses beauty. This is the artist (but can be any medium or trade). They are often a bit moody, and express themselves through a third-party medium. They tend to have seductive and soft eyes. They typically choose careers where they can express themselves outwardly in some way. AKA: The Lover, The Poet, The Artist. King/Queen: Feels the need to lead others. They enjoy ruling the roost and consider those in their charge their responsibility This is the person that people naturally look to for leadership. They often have stately looking heads (you know...a stately head, like you could put a crown on it). There is a rigid or refined quality about them. They choose careers where they can lead others, or where they get to make the rules. AKA: The Emperor, The Ruler, The Prince and Princess are the younger, immature aspects of this archetype.